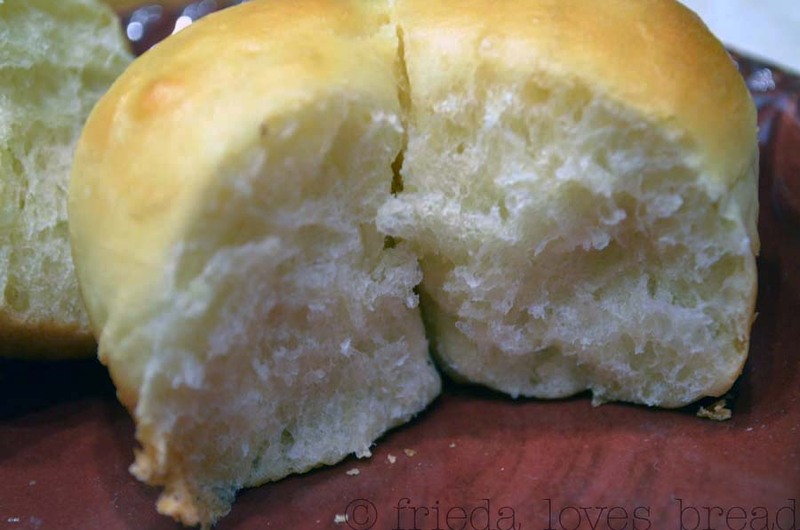 Is it possible to have hot dinner rolls on Thanksgiving? The first two methods utilize your fridge. The next two utilize your freezer. 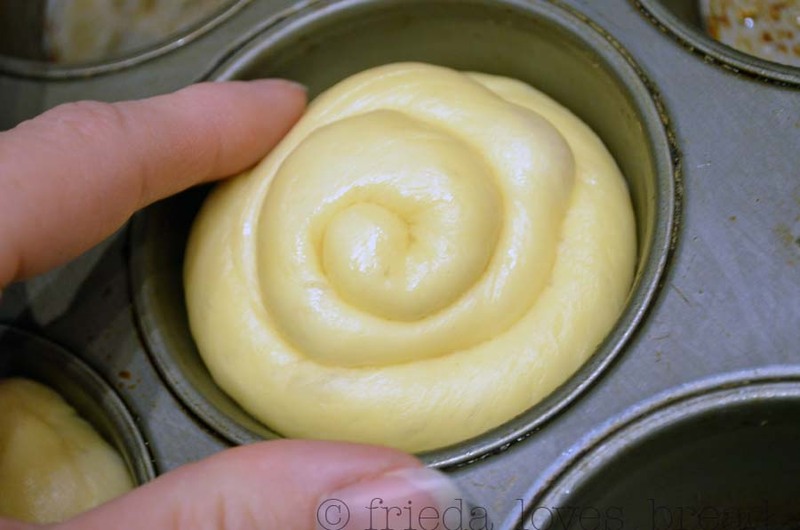 Dough is made, proofed, shaped and proofed before baking. 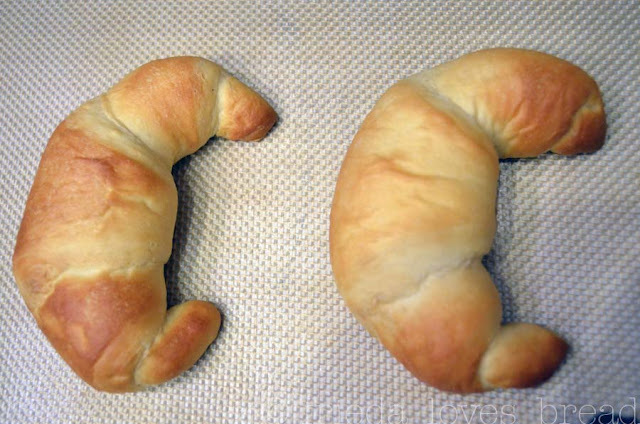 The oven temperature is lowered to 225°F and the rolls are baked for 20 minutes. 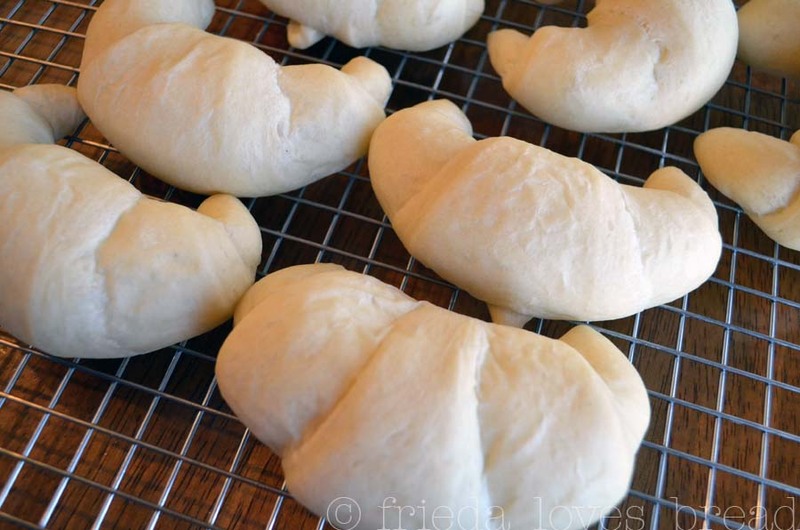 Place the rolls immediately on a cooling rack. 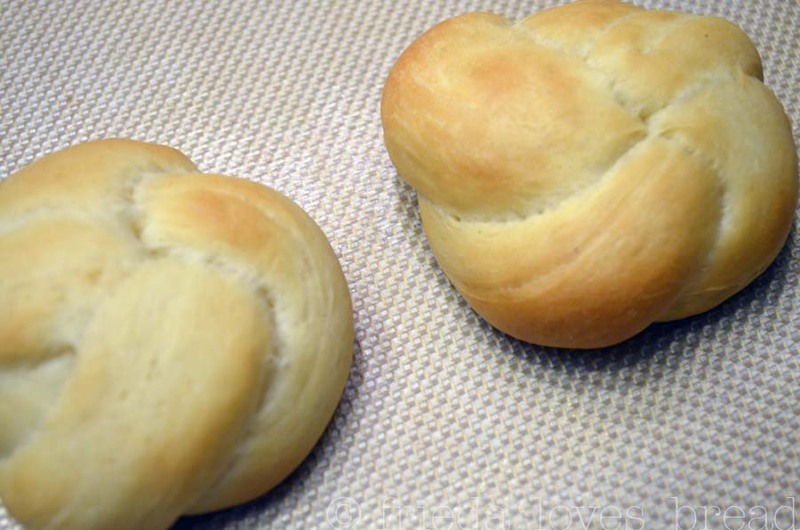 The rolls should be pale in color and as they cool, they will get slightly wrinkly. Store the rolls in a food-safe plastic bag in the fridge for up to one week. Bake at 375°F for 8-10 minutes. 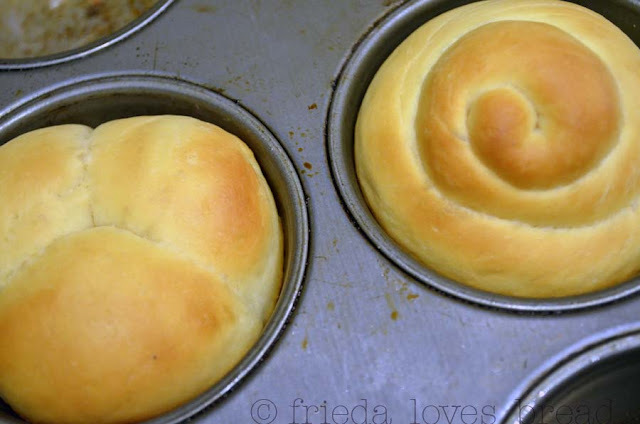 Put your shaped rolls on a lightly greased pan, parchment or Silpat. Cover with plastic wrap and store in your fridge for UP TO 24 hours. NO LONGER. Bring out of the fridge, turn your oven on and bake as directed: 375°F for 12-15 min. *note* These taste great ~ just make sure you bake these the next day! 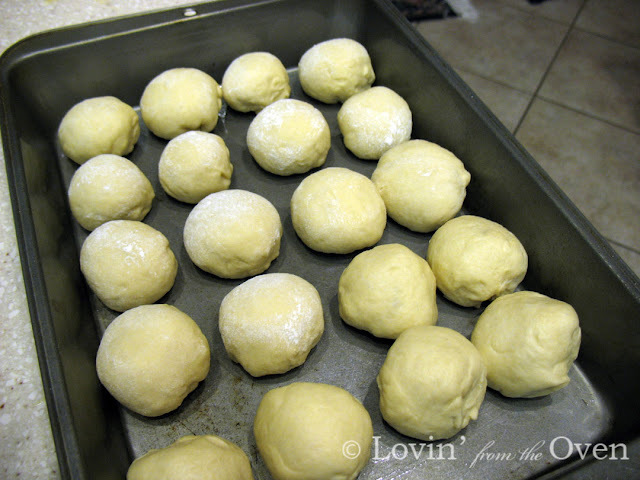 Dough is made, proofed, shaped and proofed before freezing. 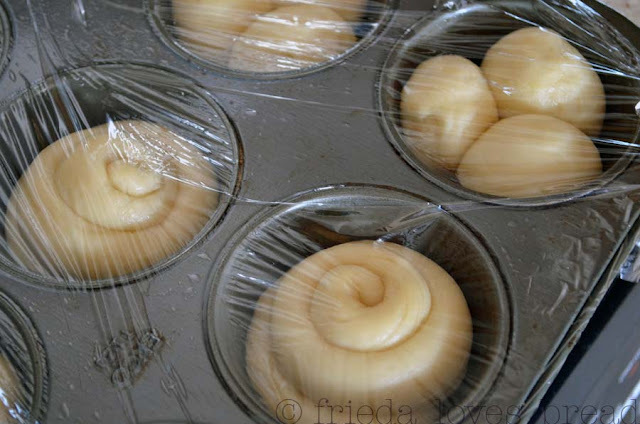 Lightly spray the tops of rolls, cover with plastic wrap, making sure no air can enter. *note* I had a devil of a time getting these frozen rolls out of the muffin tins. 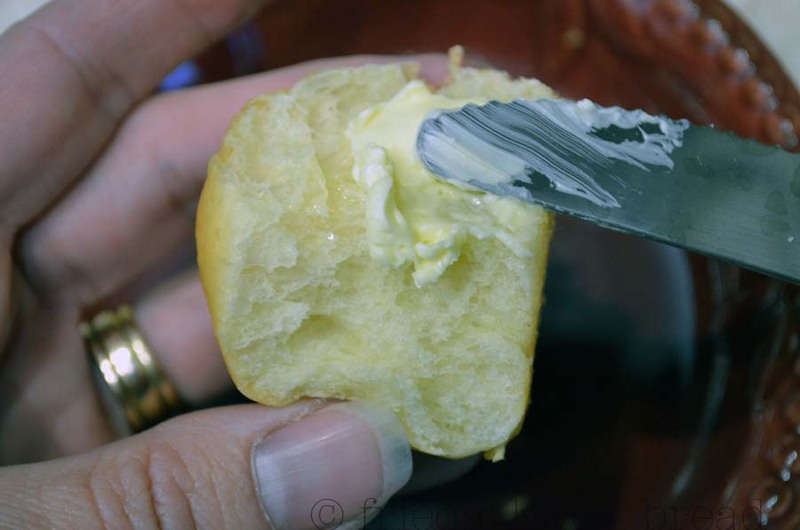 I suppose dipping the bottom of the muffin tin would melt the butter a little and release the rolls...kinda like a jello mold, huh? I'm sure a silicone muffin pan would work wonders! 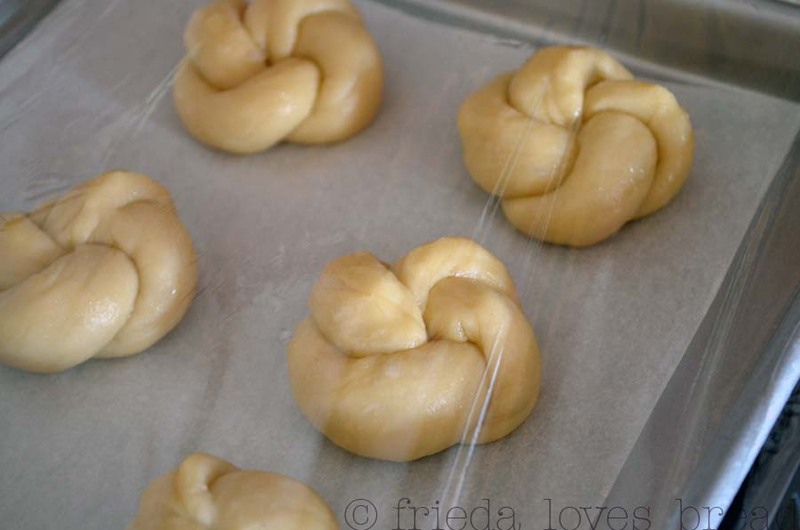 After 6 hours, place rolls in a freezer safe bag and store up to 3 months. Take out of the freezer, put into greased muffin tins and let raise till double in a warm, draft free place. The oven, set at 200°F, turned OFF, and with a shallow pan of hot water is a great place. It only took 90 minutes to thaw these out. Touch them lightly and make sure they feel light and springy. Bake as directed, 375°F oven for 12-15 minutes, or till golden brown. *note* These tasted great! I loved plopping them into the pan, setting them to rise for 90 minutes, baking and eating right away. No work at all! Dough is made, proofed, shaped and immediately put into the freezer. Freeze for 6 hours and place rolls in a freezer safe bag for up to 3 months. Place rolls on lightly greased baking sheet, muffin tin, parchment or Silpat. Cover with plastic wrap and allow to rise in a warm, draft free place for 3-5 hours. Place proofed rolls in preheated oven and bake as directed. 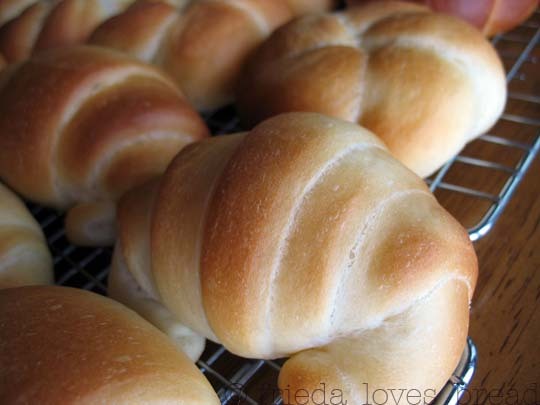 Freshly baked rolls win hands down. If pressed for time, I would choose either method (2) or (3) as they produced the best looking rolls. It would depend on how much room I had in the fridge (method 2) or in the freezer (method 3). I think giving out some frozen rolls (Dinner, Cinnamon, or Orange) as neighborhood Christmas treats would be a great idea! Yummy Frieda! You make the best rolls. 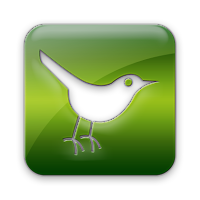 Looking forward to your class next week! 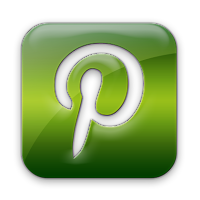 Great tips!! All of them look mouthwatering good! Yes, you are exactly correct! 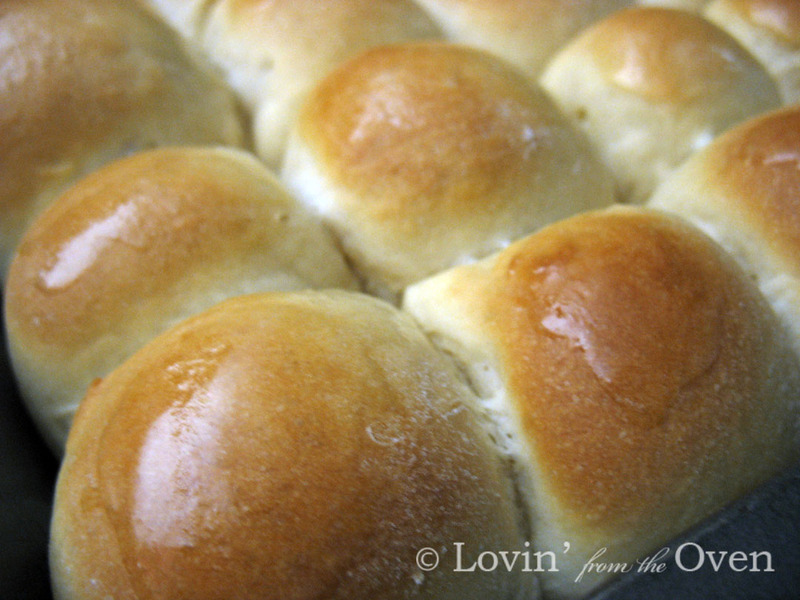 The rolls will rise, albeit very slowly, in the refrigerator. Let them sit on the counter while you are preheating your oven. Bake and enjoy! Your friends and family will LOVE your gifts!